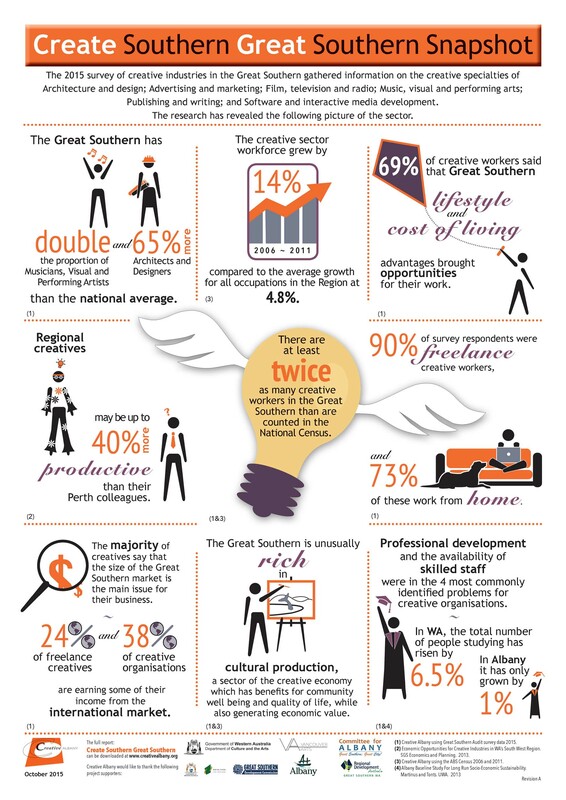 Links - CREATIVE ALBANY INC .
CREATIVE ALBANY IS WORKING TOWARDS SUPPORTING A VIBRANT CREATIVE ECONOMY, USING ITS 2015 ~ 2020 STRATEGIC PLAN. THE PLAN OUTLINES OUR ACHIEVEMENTS, GOALS AND VISIONS FOR THE CREATIVE ECONOMY IN ALBANY AND THE WIDER REGION. YOU CAN DOWNLOAD A COPY OF THE PLAN BELOW. Click on the link below to view a snapshot of the results from our 2015 creative audit.